Watsu, originally developed by Harold Dull in the early 1980's in North America, simply and blissfully combined the benefits of warm water and Shiatsu. In the years since, with the help of countless others in classes, clinics and spas around the world, Watsu has evolved into what many consider the most profound development in bodywork in our time. This experience is suitable for all ages and genders, requiring no swimming ability. 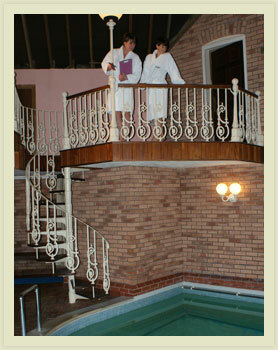 -You will be Invited into warm water to a comfortable level of standing depth. - Your practitioner will float and support you, maintaining your face above water. - With your eyes closed you begin the peaceful relaxation process. - Gentle manoeuvres and manipulations choreographed according to your needs, takes you through a truly unique therapeutic experience. A glorious self indulgent feeling of revitalised calm in your inner self, be it physical, mental or emotional, will stay with you long after.